Without question, football is the most popular spectator sport in the United States and it’s players are revered like no others. In Wisconsin, this hero worship is taken to a whole different level. The small town atmosphere of Green Bay makes for a special connection between fan and player. When Wisconsonites have an opportunity to meet a Packers player up close and personal, they turn out in droves. Hiring a professional athlete to appear at an event is a proven marketing vehicle for generating publicity, creating company awareness, and increasing sales. Hiring a Packers player for an event in Wisconsin is close to a guarantee your event will be a success. With help from our sponsor, Mayfield Sports Marketing, we can help make this a reality. Whatever your need, book signings, corporate appearances, fundraisers, universities, private events, speaking engagements, VIP Meet and Greets, product endorsements, Mayfield Sports Marketing can help you maximize exposure for your event. Top rookies Datone Jones, Eddie Lacy and Johnathan Franklin are recent additions to their player lineup, which also includes Jerron McMillian, DuJuan Harris, TramonWilliams, Josh Sitton, Bryan Bulaga and many more. 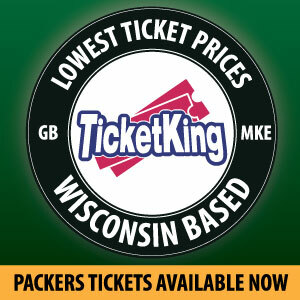 Also available are former Packers fan favorites Leroy Butler, Gilbert Brown, William Henderson and others. This entry was posted in Packers 2013 - 2014 Season, Player Appearances, PTAdmin and tagged Book a Packers Player, Datone Jones, Eddie Lacy, Hire a Packers player, Johnathan Franklin, Packers rookies, player appearances. Bookmark the permalink.